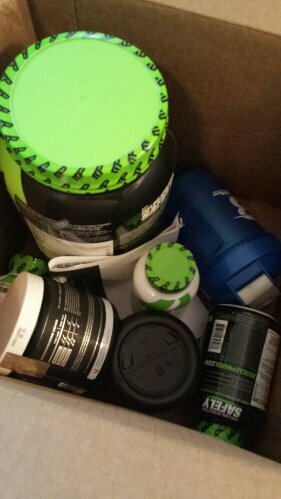 So this post is not related to subscription boxes, but my general adoration for workout supplements, and now BodyBuilding.com! 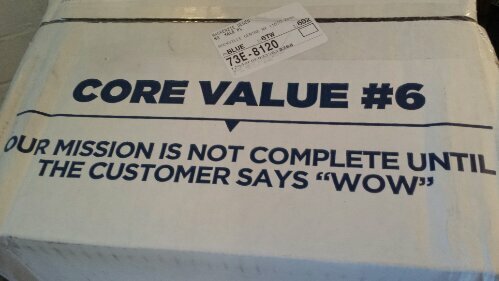 Here’s the first peek inside- you can tell it’s a pretty big box and contained a lot of products, all for under $100 and arrived in only 2-3 days! 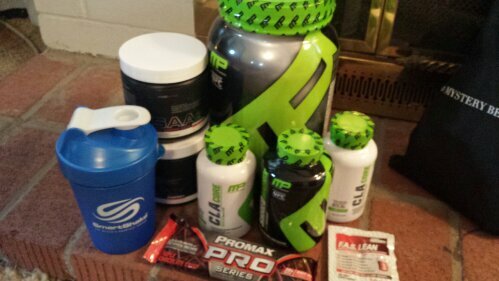 My haul included: MusclePharm Combat Protein Powder in Cookies and Cream (2lb), 2 Bottles of MusclePharm CLACore (BOGO), 1 Bottle (120 caps) of MusclePharm ShredMatrix, 2 Bottles of Image Sports SAAs Amino Acids (BOGO), and some freebies: a BodyBuilding.com Shaker Bottle, 1 Promax Protein Bar and 1 Sample of a FAS Lean. For just under $100 INCLUDING shipping and the freebies, this is a total steal! 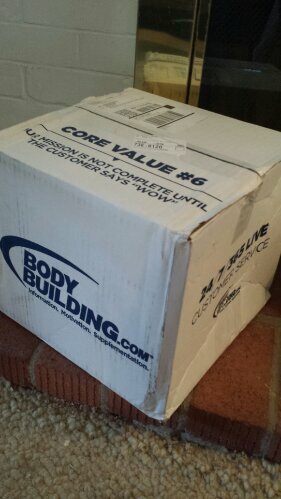 I am so excited to try out the SAAs because I’ve never used them before but have been reading rave reviews, and just had the Cookies and Cream protein shake this morning which was awesome! Plus I loved this cute little core value statement- it’s so true!